Google has revealed their 17th annual Year in Search, which reveals what humanity has been searching for worldwide on the company’s search engine. When it comes to Canada, Apple’s iPhone 8 and iPhone X topped the Consumer Tech category in the number one and two spots respectively, while iOS 11 was seventh out of the top 10. 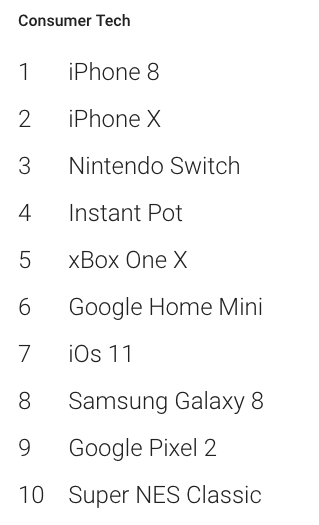 In overall Canadian Google search queries, iPhone 8 was in the ninth spot. In Google’s global Year in Search results, iPhone 8 came in second overall, followed by iPhone X in third place, only both topped by queries for Hurricane Irma. 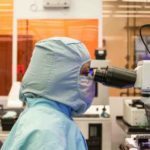 In global Consumer Tech searches, iPhone 8 was first and iPhone X was second. Clearly, 2017 was again year of the iPhone.